Here at ABC Cake Shop and bakery we absolutely love making custom cakes! 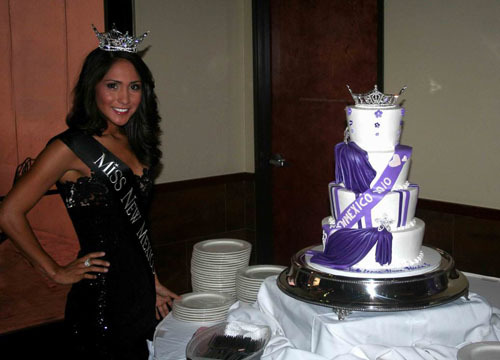 Custom Cakes allow our talented Cake Specialists to work closely with you, our customers. Since 1972 the people of Albuquerque have been coming to ABC Cake Shop and Bakery when their moments mattered. We have created thousands of custom cakes, cookies and cupcakes. We know it takes your trust to come to us year after year and refer family and friends to our business. That trust is not something that we take lightly. Some of our favorite cakes over the years have ranged from the simple to the extravagant. Do you have an animal lover in your life? We have created everything from the tiniest elephants to a large hawk and her eyass. Is pop culture your thing? We have created Tardis cakes and Star Wars galore, we have been inspired by the magical wizarding world of Harry Potter and even caught Pokemon fever. One of our newest and most interesting projects was an anatomically correct heart! Our passion for creating dream worthy wedding cakes has not dimmed over the years. On the contrary, we love making them! Wedding cakes have evolved over the years from pies to one layer to the tallest towers. Traditional cakes of light fluffy butter cream and more modern cakes that are created with fabulous fondants are shared with loved ones on one of the most special days of your life. Living in New Mexico also means that we get to experience weddings traditions and customs from very unique and diverse cultures. We have created lovely traditional ceremonial cakes with colorful woven blanket themes that are simply breathtaking. Each year we hold several Dream Wedding Cake giveaways. To learn more about how to enter, you can click here. So when your special moment matters, let one of our Cake Specialist help you create the custom cake of your wildest dreams. You can email us at info@abccakeshop.com or call us at 505.255.5080. Under the Ocean Birthday themed Mermaid tail cake.